Zero Rating: Are We In Danger of Killing the Goose Before Knowing If Its Eggs Are Golden? Helani Galpaya is CEO of LIRNEasia, a pro-poor, pro-market think tank working on ICT and infrastructure regulatory and policy issues in the Asia Pacific. You can follow her @helanigalpaya. Bringing Internet access to the developing world is a big challenge. While significant strides have been made over the past few years, four billion people still lack Internet access. The concept of zero rating (ZR) has emerged as a potential, if controversial, solution to the challenge. Here’s how ZR works and what the fuss is about. Like users in North America and Europe, most people in Asia and Africa consume mobile Internet on a capped and metered basis. There’s a set volume of data they subscribe to and anything above the data cap is paid for separately, often at a premium. Carriers have begun to allow mobile Internet subscribers to consume content that doesn’t count towards their data cap. That’s ZR. Telecom operators offer different flavors. Users subscribing to a basic data package are offered unlimited consumption of certain ZR content, or they are offered ZR content for a price much lower than other content. In all cases, users pay standard data rates when they access anything other than the ZR content, making ZR content more affordable. Facebook, Whatsapp, and music apps are commonly found in ZR bundles. In the case of Facebook, a text-only version may be zero-rated, but viewing videos or clicking on links outside of Facebook incurs charges. For the user it’s an opportunity to consume their favorite content for free or for a much lower price. For telcos and content providers, it’s an opportunity to entice users to experience the Internet, specific content, or app in the short term, with the hope of converting them to “full paying” subscribers in the long term. Many offering ZR content claim altruistic motives. 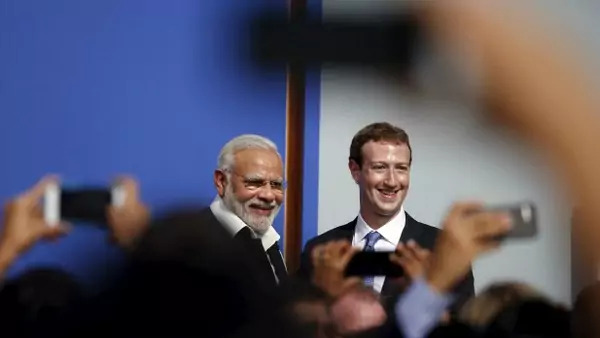 Facebook’s Internet.org platform (recently renamed Free Basics), for example, gives a package of content (usually video-free Facebook, and depending on the country and operator, a bundle of apps that may include one or more maternal health, weather, and ecommerce apps). Like most of Asia, less than 20 percent of Indians are online. Many might say that an initiative seeking to make the Internet affordable to all can only be a good thing. Yet Internet.org faced enormous criticism earlier this year in India where many argued that the service violates the Indian government’s proposed net neutrality rules. Flipkart.com, the Indian equivalent of Amazon, news providers NDTV and Times of India, online travel agent Cleartrip and others pulled out of the platform to avoid controversy. Well-meaning net neutrality advocates fear that people who start using the Internet through a Facebook-provided service will stay inside Facebook without experiencing the rest of the Internet. This is indeed a concern, but it is not tied to ZR. People have been observed limiting their online usage to Facebook in Asia and Africa as far back as 2011. There is no evidence yet that this increased after ZR is offered. Net neutrality advocates also fear that throttling content outside the walled garden will create a two-tiered Internet, a faster tier for the zero-rated content and a slower tier for all other content. Users in Asia already get lower-than-advertised broadband speeds, so this would indeed be a problem. Regulators can get around this by monitoring speeds and making data public, allowing subscribers to vote with their feet. They can also require Internet providers be transparent about how they manage their traffic. Asian markets are highly competitive, with most retail markets having six or more mobile broadband operators in addition to one or two fixed broadband solutions. Regulators will also need to monitor the market to ensure competition, particularly to avoid exclusive contracts between a telco and one content provider that prevents another provider with similar content from being zero-rated. Instead of banning ZR, regulators in Asia can use regulatory nudges to adjust the market. There is little systematic evidence so far that ZR harms competition in highly competitive retail markets. That doesn’t mean there won’t be. On the other hand, a nationally representative sample survey in Myanmar shows that when telcos offer content for free and users are aware of the fact, adoption is high. 49 percent of users whose telecom operator offered Facebook via a ZR plan started using it, (compared to a national average of 20 percent for any social media app including Facebook), 8 percent used a ZR version of Wikipedia (compared to a 5 percent national average), and 20 percent downloaded music and ring tones. Survey respondents came from households that were rich as well as poor. ZR appears to drive people to consume online content. In the end, the best defense against the possible downsides of ZR is high levels of competition at all parts of the broadband value chain—content, application, devices, international connectivity—not just in retail mobile connectivity. Given the low capacity of many regulatory institutions in Asia, it probably makes sense for regulators to focus on creating a competitive environment and let the ZR battle play out, while being ready to act if actual harm occurs. If regulators insist on acting to enforce net neutrality policies, they could take other actions, such as making ZR offerings time-limited or mandating the first click outside of the walled garden also be zero-rated. Banning ZR products outright could leave millions of the poorest disconnected with no actual benefit. What’s the point of net neutrality if nobody is online?